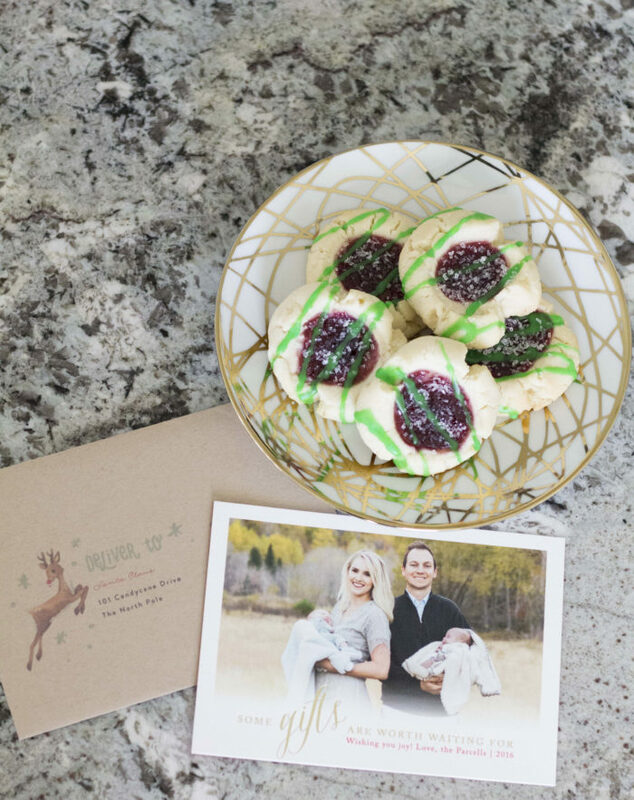 2016 Christmas Cards + My Favorite Cookie Recipe! I love the tradition of sending and receiving Christmas cards. I absolutely love getting pretty cards in the mail and hanging them on my fridge each year. 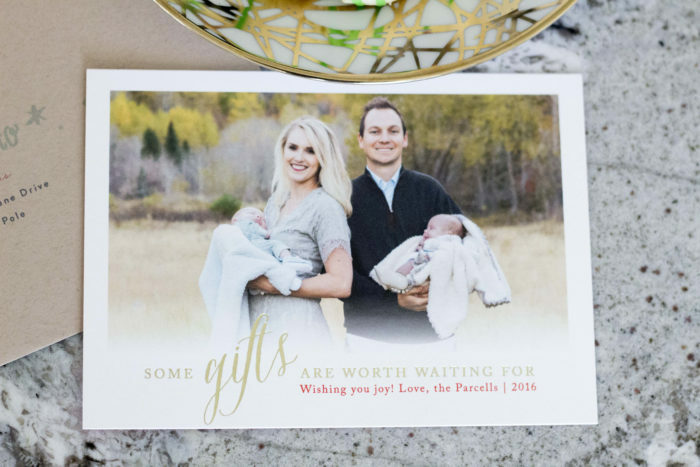 Tyler and I have been married for 8.5 years but last year was our first year sending out Christmas cards…it’s a lot of work! 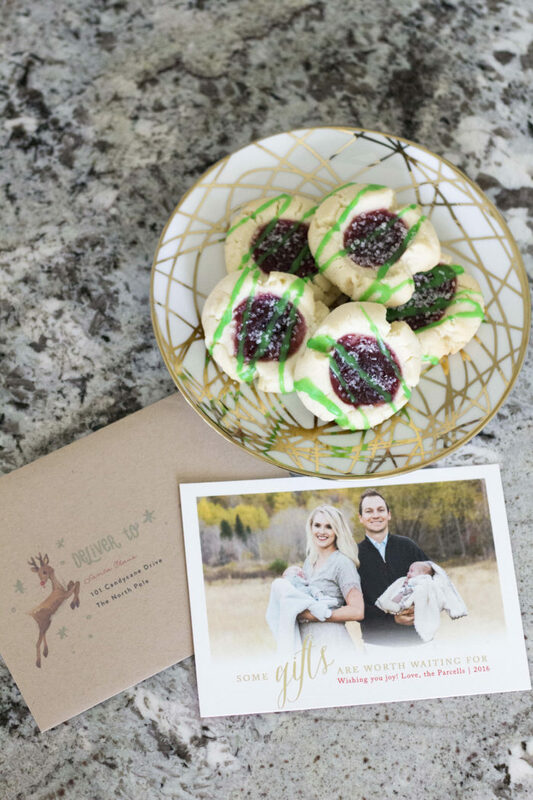 But I figured that if I love getting them so much, I’m sure others do too so I created our card with Minted again this year. 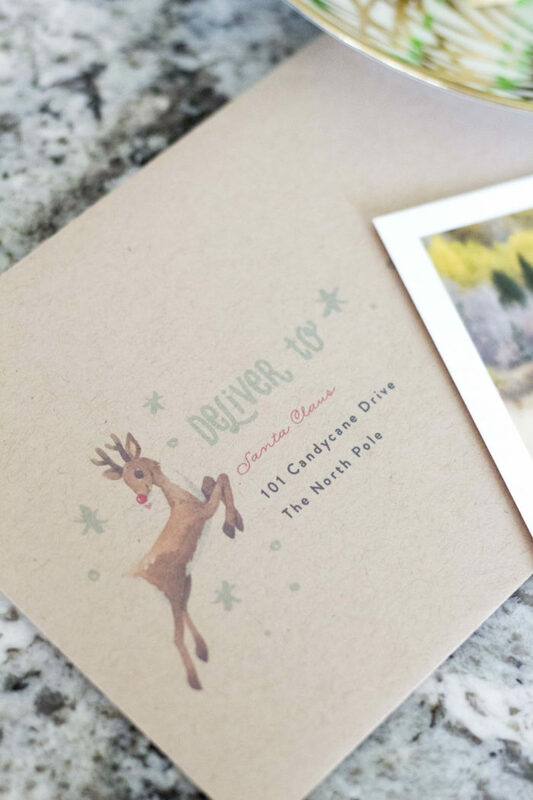 I love Minted because they save all of your addresses in their system so that you don’t have to re-do it each year. They also print the addresses for you and we all know that I’m all about simplifying. I saw this card that said, “Some gifts are worth waiting for,” and I’m pretty sure I smiled to myself in my office because I sort of feel like it was created just for us. Last year, we hung 3 stockings on our mantle, hoping and wishing that at least one of our little embryos would make it! And this year we have 4 stockings and my heart just jumps every time I walk by. 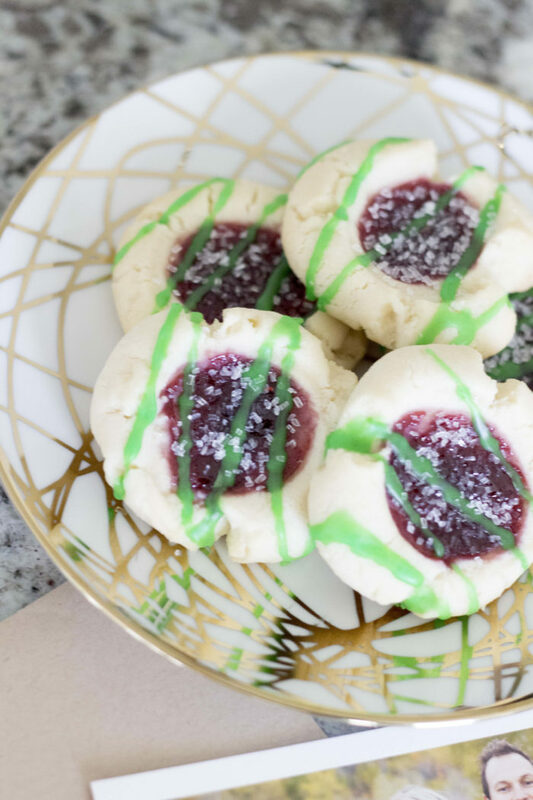 I also had to share my absolute favorite holiday cookie, my Raspberry and Almond Shortbread Thumbprints! If you click on that link, it will show you my tricks to making it great. 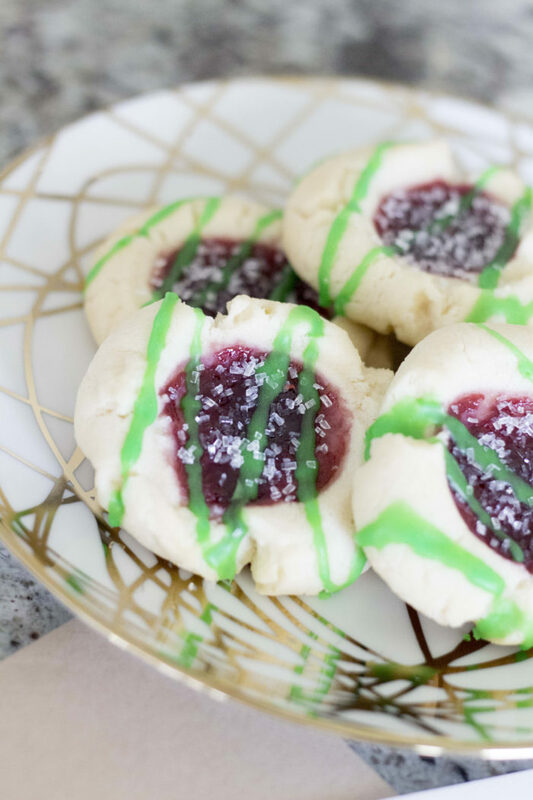 To make it Christmasy, I just dyed the drizzle green and added sparkly sugar crystals. They are pretty easy to make too! Merry Christmas my friends!! Previous Post: « 5 Months Old! !